Human Rights Commission of Malaysia also says it's the right of all Malaysians to voice concerns even though the bill is aimed at the Muslim community. PETALING JAYA: The government’s rights commission has today for the first time joined criticism of PAS’s recent move to give wider powers to shariah courts, saying the private member’s bill tabled in the Dewan Rakyat violates international treaties against torture signed by Malaysia. “Caning and/or lashing in any setting violates the absolute prohibition of torture and cruel, inhuman or degrading punishment under international law,” the Human Rights Commission of Malaysia (Suhakam) said in a statement today. “Parliament must accordingly ensure that all laws passed by it, are reasonable, equitable and proportionate; as well as progressive and fair,” said the commission’s chairman Razali Ismail. A main feature of the amendments to the Syariah Courts (Criminal Jurisdiction) Act 1965 proposed by PAS president Abdul Hadi Awang is to increase the punishments for shariah offenders, from the current maximum fine of RM5,000, six lashes and three years imprisonment, to a maximum fine of RM100,000, 100 lashes and 30 years imprisonment. The move has drawn mixed reactions from across the political divide. PAS leaders and the bill’s backers from Umno have scoffed at critics, saying it was the right of Muslims to govern their lives based on what the party claims are divine laws. Razali however warned that the bill’s proposal to allow shariah offenders to be sentenced to a maximum of 100 lashes of the cane was a violation of the “absolute prohibition of torture and cruel, inhuman or degrading punishment under international law”. He reminded PAS that Malaysia was signatory to three international treaties, namely the Convention on the Elimination of all Forms of Discrimination against Women (CEDAW), Convention on the Rights of the Child (CRC) and the Convention on the Rights of Persons with Disabilities (CRPD). 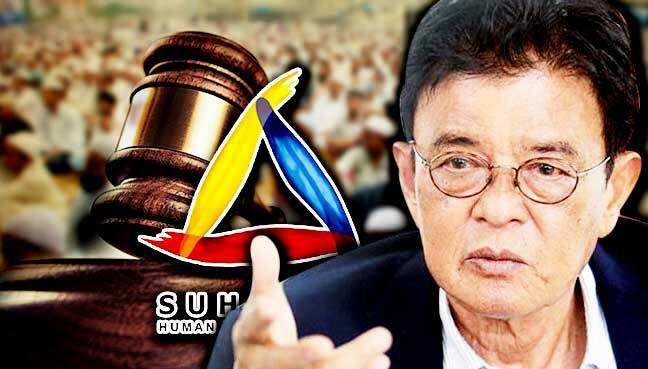 The Suhakam chief also questioned attempts to stifle criticism of the bill on the pretext that it was only targeted at Muslims, saying the proposals would affect all Malaysians. “Malaysians accordingly have the right to question whether the rights to liberty and to dignity are being protected adequately with the proposed amendments, and Suhakam underscores that the concept of proportionality is one of the fundamental principles of sentencing, grounded on the premise that, to be just, a sentence must be of a length and type,” said Razali. New Silk Road: Is there a China plan for M’sia?